Cards that are not the regular rectangle or square shape are popping up all over now! I tried my hand at it with the Hero Arts cupcake die set. This set is so much fun since it has the basic cupcake shape, plus a candle, a cherry and a heart that can be used as embellishments for the cupcake or for other projects! 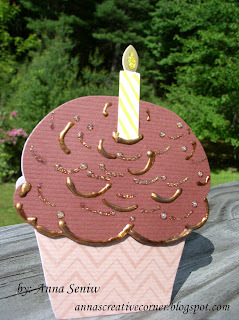 Here's my chocolate frosting cupcake card! 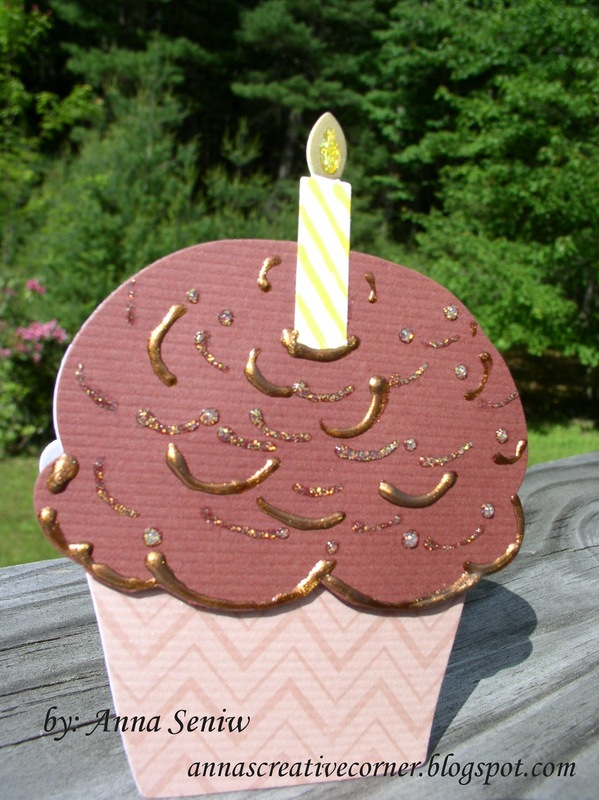 I used the Viva Decor pearl pen in bronze to make the frosting swirls and the Hero Arts chevron background stamp for the paper cup. And of course stickles was added to make the whole cupcake sparkle! Here is a close up of the "chocolate frosting" swirls. Yummy! And no calories here! Hope you are having a "chocolatee" kind of day!